Easter place cards make a wonderful addition to your festive holiday dinner table. Whether you choose a whimsical or elegant design, these colorful cards will delight adults and children alike, while serving a practical function as well. You can purchase the place cards or make them yourself using simple craft materials. Either way, the result is a creative and useful addition to your Easter dinner. Use templates to create Easter place cards shaped like ducks, baby chicks, bunnies or lambs. 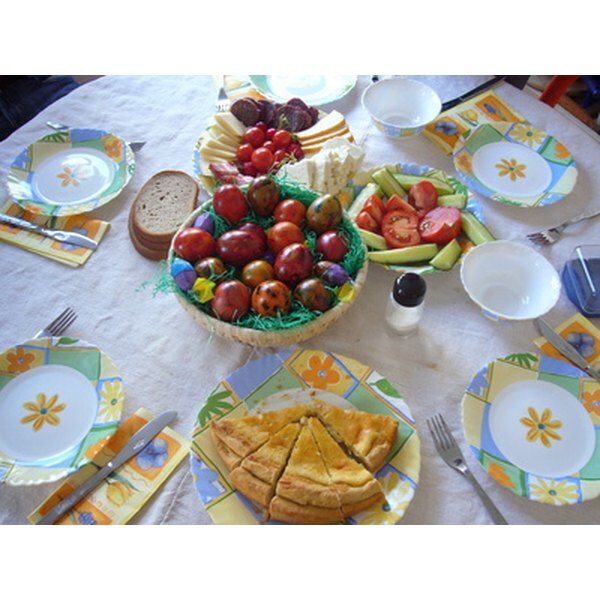 Print out your templates on pink, yellow or baby blue card stock to add some spring color to your Easter table. After printing out the desired templates, outline each shape with glue and attach different foods for effect, such as black lentils for the eyes and cornmeal mixed with red food coloring for the pink ears. For even more detail, make a complete "landscape" by placing glue at the bottom of the card and sprinkling a bit of dried parsley or rosemary. Easter eggs make great place holders. Dyed and inscribed with the name of each guest, the eggs can be placed on linen napkins of a complementary yet contrasting color for a beautiful effect. Consider applying an Easter-themed paper silhouette to each egg, such as a playful bunny or baby chick in pink, yellow or blue, before inscribing the guest's name. 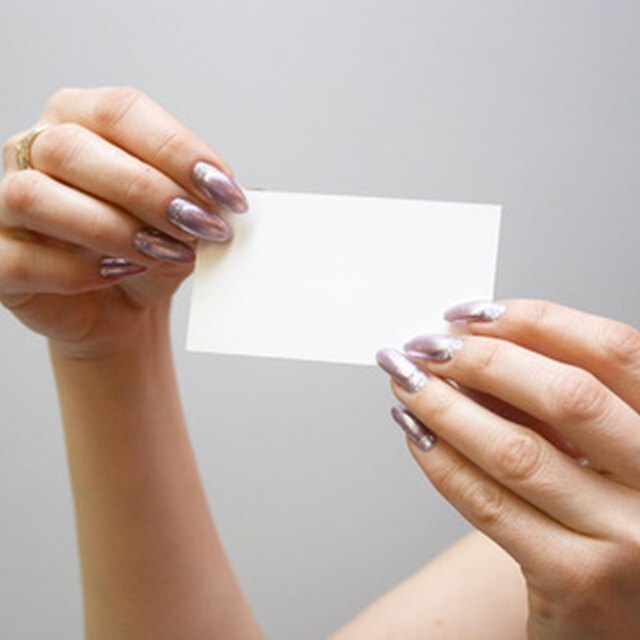 For a touch of elegance this Easter, consider simple, store-bought place cards in ecru or white. Use a felt pen for each name and sit them before place card holders that dazzle—literally. Try a generous-sized chocolate bunny sprinkled with glitter, or a faux bunny from your local craft store. When the holiday approaches, faux bunnies, chicks, ducks and other pint-sized animals are readily available. Sprinkled with glitter, they all look great. For a slightly different take on whimsical, consider attaching simple place cards--in white, off-white or an array of pastels--to edible treats. Oversized lollipops in pink, yellow, blue and green or baked cupcakes frosted and topped with a delightful assortment of characters can become a charming surprise for each guest. Or, try Easter baskets made from muffin cups, or white, yellow and orange foam, which can be stapled together for the desired shape. These baskets are a real treat when stuffed with spearmint leaves and topped a variety of tiny store-bought or home-baked treats.